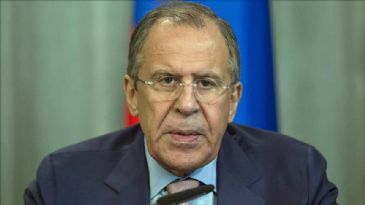 ANKARA - Russian Foreign Minister Sergei Lavrov on Tuesday cancelled a visit to Turkey in the wake of the shooting down of a Russian warplane by the Turkish Air Force. Lavrov had been due to visit Istanbul on Wednesday to meet his Turkish counterpart. “A decision has been made to cancel the meeting at the level of Russian and Turkish foreign ministers, which was planned to be held tomorrow in Istanbul,” Lavrov told reporters in Sochi, Russia. He called on Russians not to travel to Turkey, claiming the threat from terrorism was as high as in Egypt, where a Russian airliner was brought down last month by a suspected terrorist bomb. A Russian warplane was shot down on the Turkish-Syrian border earlier Tuesday after repeatedly ignoring warnings that it was violating Turkish airspace.